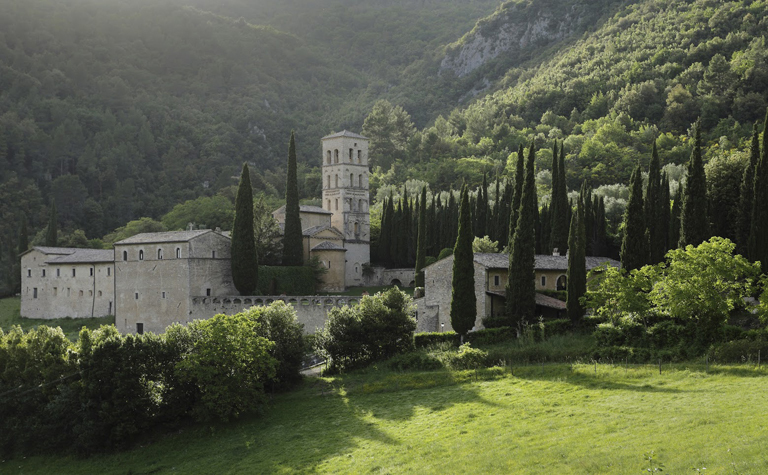 Three days tour discovering the Spoleto Valley and Valnerina experiencing their Lombard heritage and visiting the ancient capital of Lombard Duchy, Spoleto. Arrive in Trevi and check-in at the hotel. 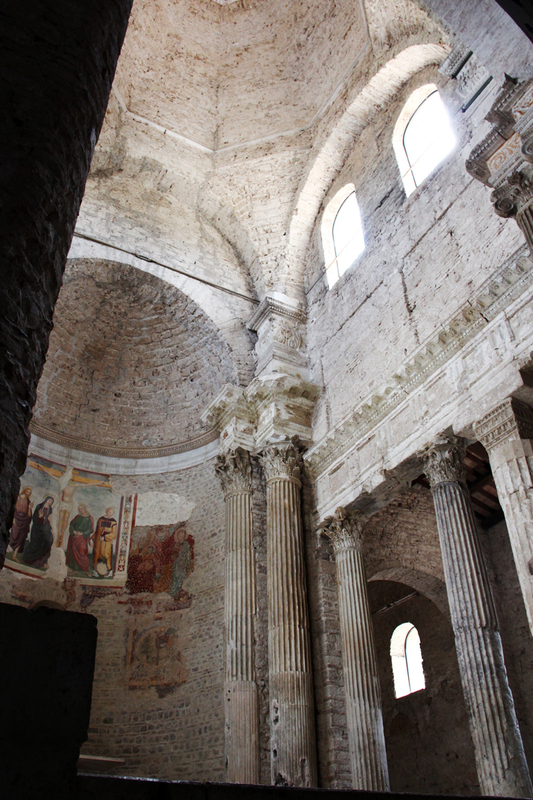 Morning visit to the Museum of San Francesco: visit to its Antiquarium where archaeological remains and funerary objects found in the nearby necropolis of Pietrarossa are exhibited and visits to its Museum of the Olive Civilization, an interesting exhibition of farming culture and olive tree traditions. 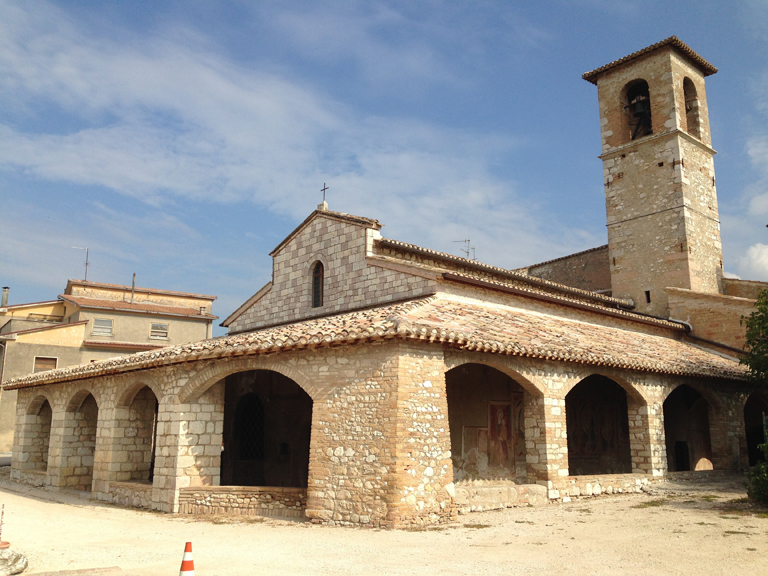 Downhill to the valley through a wonderful landscape of olive groves and visit of the church of Santa Maria of Pietrarossa where a Lombard necropolis dating to the sixth and seventh century was discovered. 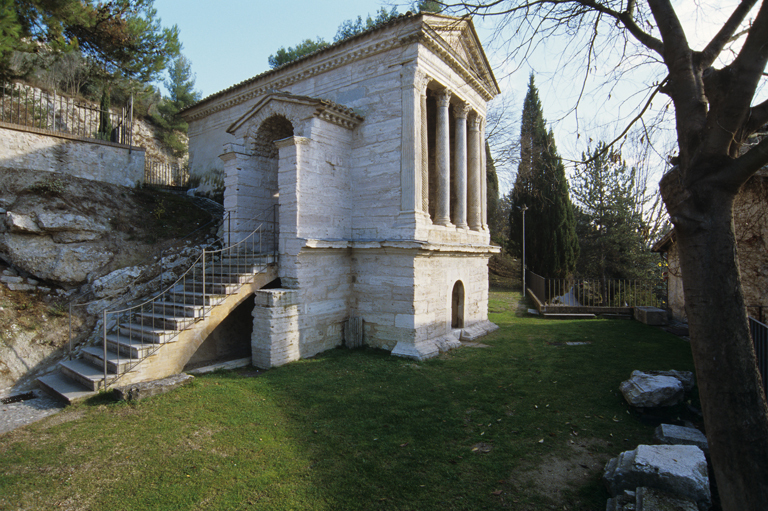 Arrive in Campello sul Clitunno and visit to Clitunno Temple a small chapel in the shape of a Corinthian Temple of V century A.D. considered one of the oldest proto-Christian temples in Europe and a World Heritage site since 2011. Stop for lunch and afternoon visit to the scenic surroundings of the Clitunno Springs, one of the main attractions of the naturalistic landscape of Umbria, celebrated in antiquity by Pliny, Virgil and Propertius. Pleasant visit to a local olive-oil mill and olive oil tasting with bruschetta. Return to Trevi, dinner at the hotel and overnight. Breakfast and departure to Ferentillo. Driving along the enchanting Valnerina, visitors will discover the lush Nera river and its fortified villages. Visit to the Abbey of San Pietro in Valle the most important religious centres of Lombard Duchy with its marvellous views and one of the most important Lombard artefacts of the area: the Ursus altar. Stop for lunch tasting local products. 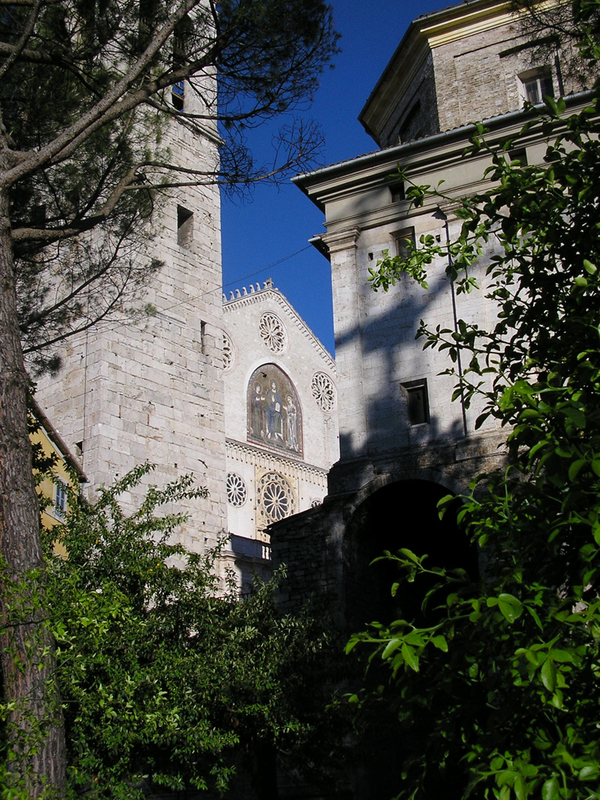 Departure to Spoleto and visit of the National Museum of the Duchy of Spoleto in the Rocca Albornoziana, a great experience discovering the ancient medieval architecture and its exhibition of the Lombard Age, where we will admire one of the best views of Spoleto Valley. 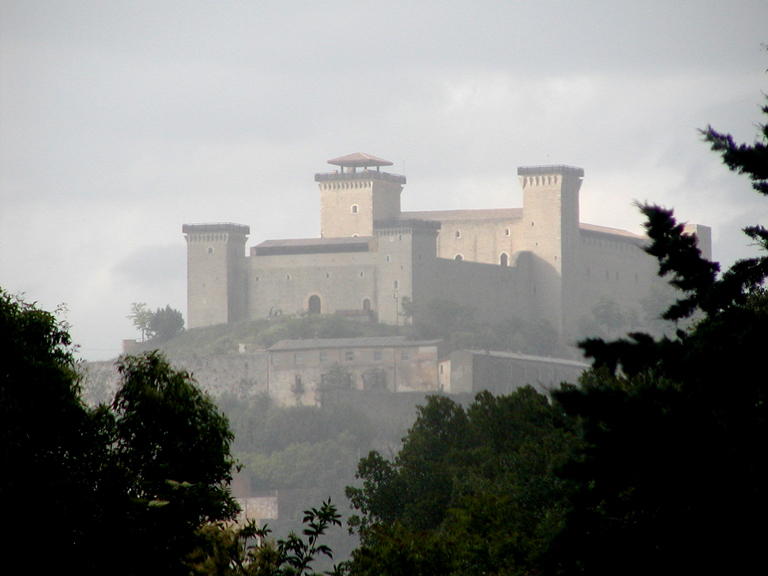 The high position of the fortress dominates the enchanting beauty of the surroundings. Visit to the Churh of San Gregorio Maggiore Church a masterpiece of Umbrian Romanesque architecture, which retains an interesting pluteo of the Lombard Stop to admire the “Teodolapio”, so called in honor of one of the Lombard Dukes of Spoleto, the only monumental sculpture in Italy by Alexander Calder. Breakfast and morning visit to Palazzo Mauri an elegant XVII century noble palace, today the Municipal Library where the Lombard info point is located. Visit of the ancient Lombard mosaics found on the floor by the last palace restorations. Visit, in Palazzo Pianciani, to another spectacular Lombard mosaic that has recently come to light. Short walk to the scenic Piazza Duomo and visit to the Cathedral and its traces of Lombard heritage in its bell tower. The cathedral contains many outstanding works of art, including the apse frescoes by Filippo Lippi and an autograph letter of St. Francis of Assisi to Friar Leone. 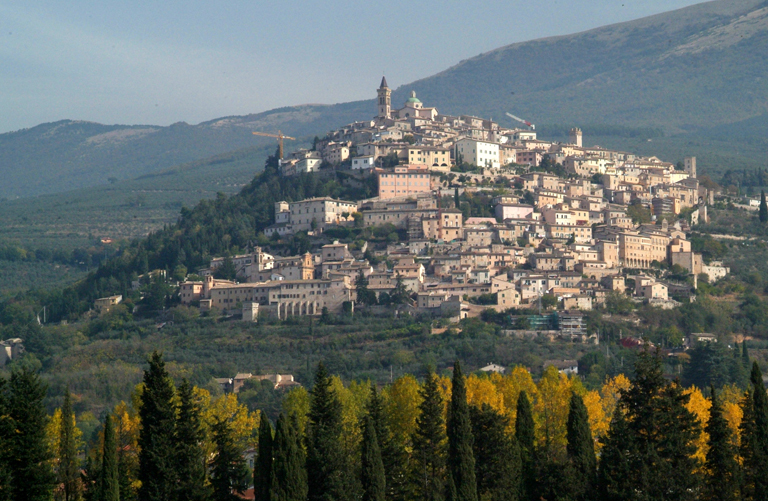 The centre of Spoleto offers one of the most enchanting walks in the millenary history of Umbria with its ancient architecture and perfect symbiosis with nature. Afternoon visit to Church of San Ponziano , where the relics of the Saint protector of Spoleto are preserved, and Basilica of San Salvatore, one of the main Lombard monuments of Central Italy and a World Heritage Site since 2011. Price includes: tourist guide, transport, 2 HB hotel accommodation in twin or double room, 2 lunches, 1 “Lombard age” lunch, entrance tickets for the museums, Clitunno Springs and Clitunno Temple, oil tasting, including VAT.